Assistant Chief Brian Lumpkin, Professional Development Command, spoke with the men and women of Academy Class 202 prior to them walking across the stage on graduation night. 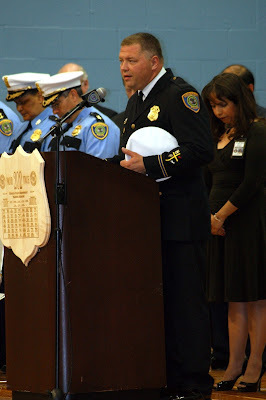 Emotions ran high and excitement filled the air as Assistant Chief Lumpkin gave them some wise words of advice to take with them that night. Are you ready to make a difference in your community? Are you ready to step up to the plate and become a hometown hero like these 52 of 202? Many readers have inquired about the $12,000 hiring incentive. The annual compensation for the first year is currently $43,965, which includes the incentive. Once the incentive is removed starting with Academy Class 208, the annual compensation will be $31,965. 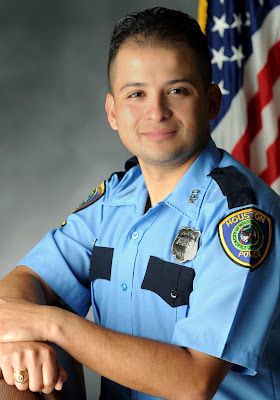 After you get through your first year of training (academy and six months of probation) and begin your second year you will get a substantial pay increase to the mid-40's depending on your education. 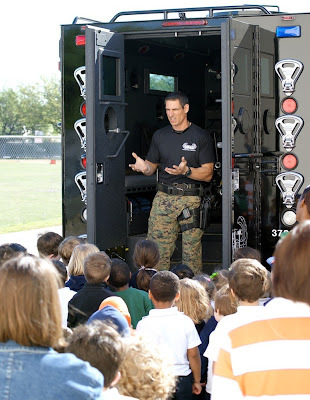 You do not have to pay for our academy and you will start getting paid your first day of training. Speaking of the academy, many readers also ask if they have to live at the academy. You do not have to live at the academy. You attend as you would college and go home every night. 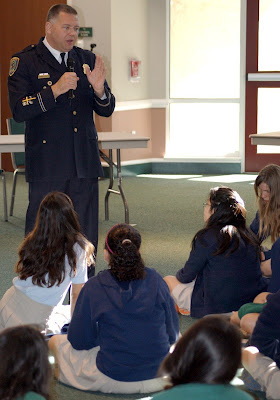 A typical day at the academy starts at 6:30 am and ends at 4:00 pm. You will have weekends and holidays off during the academy. 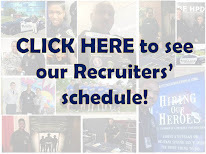 Apply today at http://www.hpdcareer.com/ and take the first step to a stable and rewarding career. Once you reach your goal and it's graduation night you can start to see yourself making a difference. The pressure ends, but in reality it begins. Stay sharp, stay focused, make us proud! Congratulations 202! 202, What did you do? Six months of hard work, extensive studying and time away from the family is hard to endure at times. 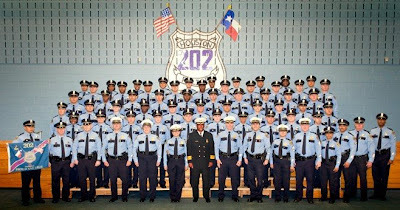 Class members of Academy Class 202 completed their academy class on April 21, 2009. The last few classes that I have filmed, I have produced a segment called "What did you do?" 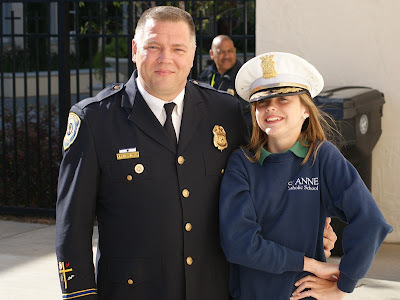 These videos have proven to be very popular not only among my readers, but by the cadets as well. I encourage the cadets to let loose and be themselves for a bit. After all, the hard work paid off and they were about to graduate later that night. These segments often have a touch of humor in them. Class 202 was no exception. 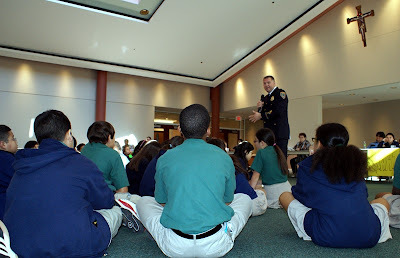 On Thursday, April 16, 2009, members of the Leadership North Houston Program of Lone Star College visited the Academy. They were introduced to two of our cadet squad leaders and had the opportunity to ask them a few questions about academy life and about being a leader of their respective academy class. Handcuffs don't give, you realize this right? I am not sure if this security camera video file of two of the smartest crooks you have ever seen is real or not, but I have to admit it is still funny. Thanks for sending it to me. 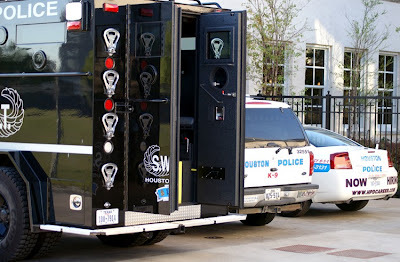 Two Houston firefighters, Capt. James Harlow, 50, and rookie firefighter Damion Hobbs, 30, died early Easter morning trying to save an elderly couple from their blazing home. 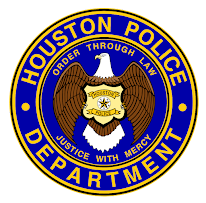 From everyone at HPD to HFD, our hearts and prayers go out to you. 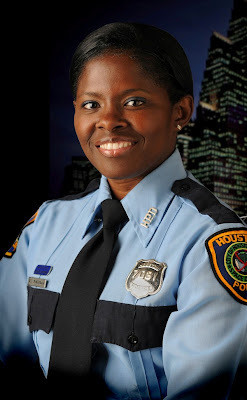 Meet one of the newest members of the Houston Police Department. This is Spirit. 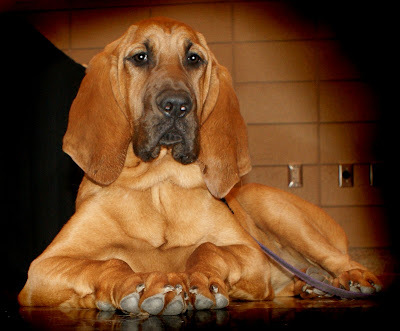 Spirit is a five month old female bloodhound and is currently in training. 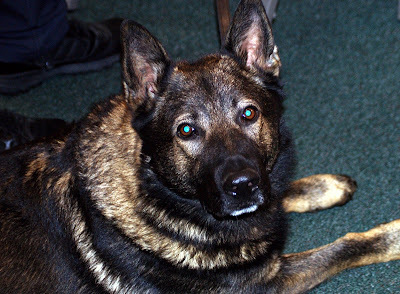 Once trained, Spirit will be able to track down people, dead or alive using her strong sense of smell and instinct. 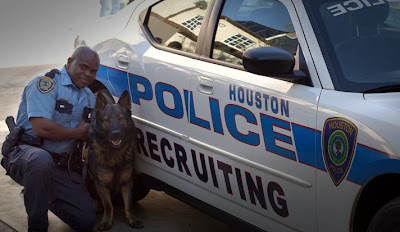 I had the pleasure of meeting Spirit during a recruiting event at the Houston Aeros game last Thursday night. Spirit was one popular puppy that night. I thought the poor dog was going to have her skin "petted" right off. I could be wrong, but it sure looked like she was happy the whole time. 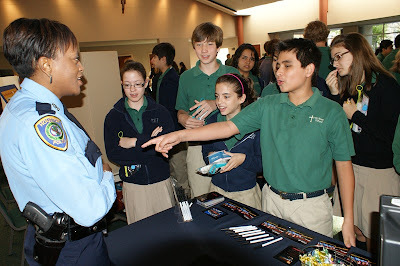 The Houston Police Department was at the annual St. Anne Catholic School "Career Fair" this morning. 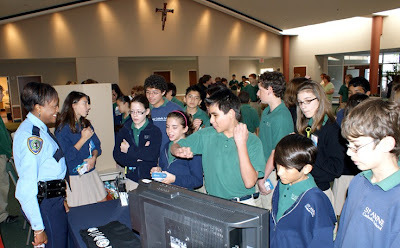 It was tons of fun and we really enjoyed talking to all the students about what it is like to serve the community as a police officer. 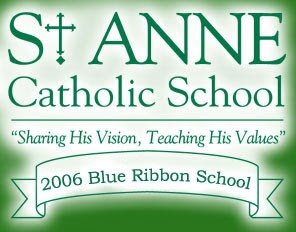 I would like to thank St. Anne Catholic School and it's staff for their hospitality and allowing us to be part of their tradition.